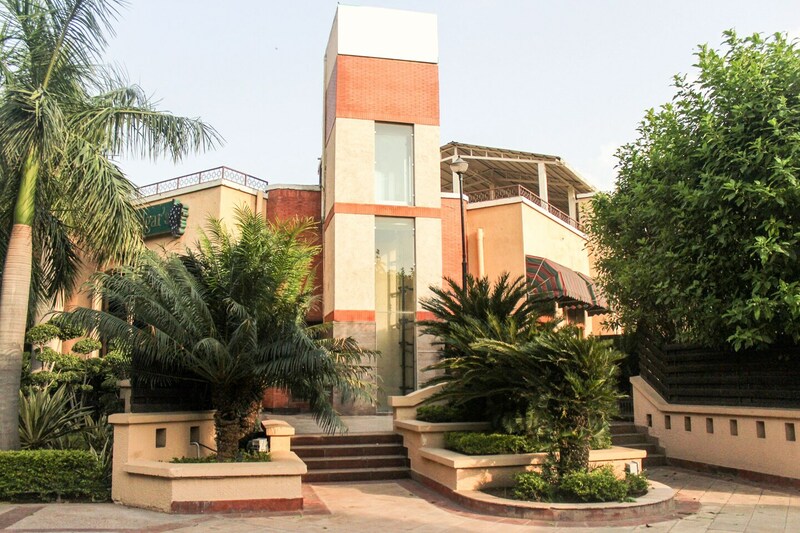 Tivoli Garden is a spacious and luxurious resort located in Chattarpur in New Delhi. Famous places like Chattarpur Temple, Qutub Minar, The Garden of Five Senses, and Mehrauli Archeological Park are in all located nearby. The resort is large and spacious and elegantly furnished and styled. The hotel rooms are equipped with AC, TV, Wi-Fi, geyser, room heater, mini fridge, and hairdryer. Other important facilities offered by the resort include a banquet hall, in-house restaurant, swimming pool, gardens, elevator, seating area, living room, laundry, and parking facility. Eateries like Lions of Punjab, Ajit Khalsa Dhaba, Lettuce Eat, etc., are located two minutes away from the hotel.